The last man to cross Han is laying face down in a bar. its actually a Rodian lying face down. They should be careful. Han shoots first. That headline writer can pretty much retire now. They're never gonna top that. how did no one catch this!?! 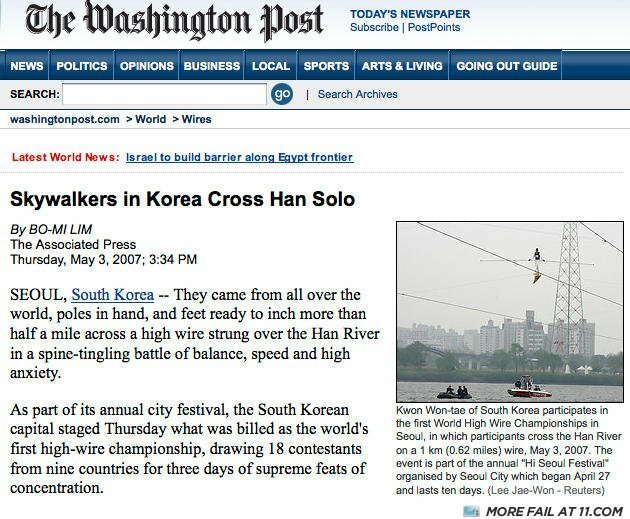 How did Luke end up in Korea? What's the best part of twenty one year old's?